I am going to try to post a quote every day again now that I am used to my schedule for the second semester. I chose a quote by the author Toni Morrison who is well-known for her novels Song of Solomon and Beloved. I read Beloved over break, but I admit I did not like it as much as the previous book mentioned. I respected the form of the novel and how the story flowed, but overall I do not think it was as beautifully written as Song of Solomon. The above quote I feel shows how Morrison can write in a deep moving way and still talk about a serious subject. Morrison, like many other African-American writers, focus their stories around people finding their roots and understanding their past. In my opinion, this quote can tie into these themes and shows the importance of ancestry. Q: What do you think this quote means? Do you think that Morrison may be talking about the importance of knowing one’s past? “There is a wisdom of the head, and a wisdom of the heart” (Charles Dickens, BrainyQuote). Today I wanted to post on wisdom and different views regarding rationality and emotion. Charles Dickens seems to be asserting that wisdom is not just found in the head or heart, but in both areas. A person cannot just think with their head and disregard their emotions. Many ancient Greeks discouraged people from letting their emotions take over and said wisdom came from the heart. Many literary figures, especially of the Romantic Era, put more value in emotions instead of wisdom from the head. This argument has been ongoing for many centuries, but I personally have to agree with Charles Dickens that the head and the heart are both equally wise. I have posted about this debate many times and have found that depending on the point of view and the way it is displayed, one could argue over the importance of the head and the heart. Certain views may sway minds to the opposite point of view, but I think when scrutinizing each point it is almost impossible to prove if the head or heart has more wisdom. 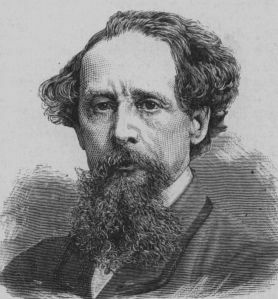 Dickens may have made a “safe” choice by saying they are both equal, but also may realize that it is difficult to say which is more valuable. A person is incomplete if they simply follow only their heart or head. We were given both a heart and brain for a reason and therefore we must use both equally. Q: Do you agree with Charles Dickens point of view? What do you think has more wisdom, the heart, the head, or both? “I declare after all there is no enjoyment like reading! How much sooner one tires of anything than of a book! 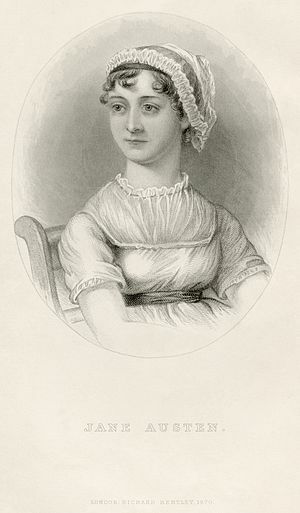 When I have a house of my own, I shall be miserable if I have not an excellent library” (Jane Austen, Pride and Prejudice). Today I thought I would post a quote about the love of reading and what it means to me personally. I only “pleasure” read over long breaks because I know I can enjoy the book and not worry about other work. I get to read many books and stories as an English major, but I admit sometimes I get rather annoyed. Having to constantly read assigned material and then critique it makes me hate reading at times, I like to read when I want to read. Next Wednesday, I start the infamous senior seminar exam at my school. It is a two-day test where we have to know everything we covered for the entire year. The first day we have 100 quote identifications, and short answers which will last five hours. The second day we have essays and short answers which will also be five hours. 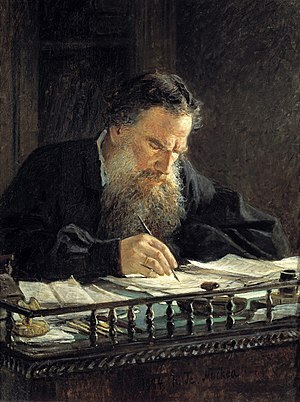 The test is supposed to help us remember great literary authors, which are important for English majors. I understand why this is important, but I would rather appreciate these authors in time and not be forced to intake major works all at once. I love to read, despite what I have said. I think when I am older I will pleasure read as often as I can. However, after college I do not think I can pick a book up for a while. I am happy though that I was able to receive this education and learned to become a better writer. I think hopefully when I look back at my life I will be thankful I put in all this hard work, but for now, I am dreading my tests and papers. I think I am just stressed, maybe I will have a better demeanor when I am done with exams. I am sorry if I just complained in this post I am sure everyone is stressed from time to time so I shouldn’t complain. I hope you are all having a good night. What do you think about reading? Do you think we have the same enthusiasm about reading today? 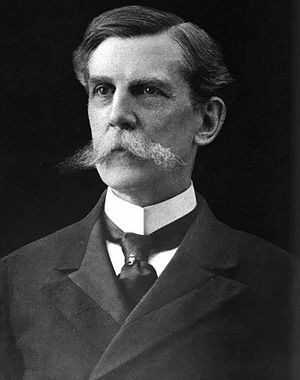 Quote of the Day: Oliver Wendell Holmes, Jr.
“But friendship is the breathing rose, with sweets in every fold” (Oliver Wendell Holmes, Jr., BrainyQuote). Oliver Holmes was a Supreme Court associate justice from 1902 to 1932. Even though he is not a literary writer, he is still one of the most influential jurists today and was the oldest justice in Supreme Court history, retiring at 90 years old. I thought this quote was absolutely beautiful and could have easily been written by a literary mind. It takes quotes like this to remind me that people in the legal, business, and political world can be creative. It is wrong of me to assume they are not, but I guess those are my presumptions about the people in those fields. I agree with Holmes that friendship is a beautiful thing. As friendships continue to develop the bond grows stronger and continues to grow. In my opinion, Holmes could be saying as a friendship continues to grow more things are shared and new memories are created. Every part of the friendship is beautiful and every moment that is shared is sweet. Q:Have your friends had an impact on your life? How would you describe friendship? 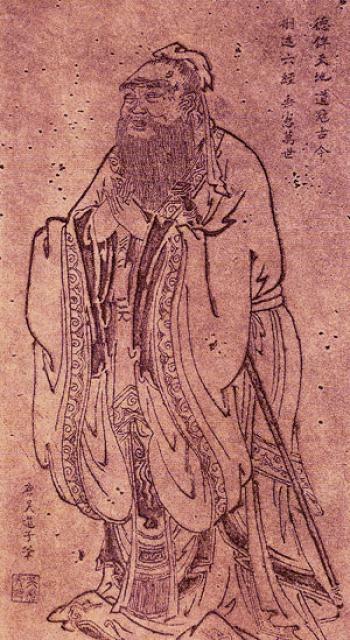 “Forget injuries, never forget kindnesses” (Confucius). Since I am still thinking about Thanksgiving, and Christmas is right around the corner, I thought I would post a quote on kindness. I think around the holidays it is important to be kind to others and to remember there are people out there that love and care about you. We may all be going through “rough patches” or do not feel “wanted,” but I think Confucius is right when he states we must not dwell on the negatives. We must remember that there are kind people in the world and not to focus on the bad things that have happened in our lives. The holidays are a time where we put our troubles aside, if only for a moment, and remember the good we have in our lives. I hope everyone had a great Thanksgiving and has an even better Christmas, Hunukkah, Kwanzaa, etc. Happy Holidays! Today I thought I would share an article analysis of The Tempest. The article will focus around the character analysis of Miranda and how she interacts with other characters. She is one of the only female characters in the text, besides the King’s daughter who is mentioned and Caliban’s mother, Sycorax, who is mentioned. Miranda is the only female who has a speaking role and she has little dialogue. She is really the only female in the play since the King’s daughter is in Africa and Caliban’s mother is dead. The analysis I am sharing is written by a classmate of mine, Kylie Manzie. I wanted to share her analysis because mine would have been almost exactly the same and I would have felt I was plagiarizing. I do NOT claim credit for these next lines for my classmate wrote them for a report. Throughout the play, Miranda may be primarily viewed as sweet and innocent: the “perfect” female character. Is this seriously the case? It appears that Miranda’s character is drawn in a way that characterizes her within these childish boundaries. I find it ironic though that she seems characterized this way, but yet her father is trying to enchant both her and Ferdinand so that they may both fall in love with each other and get married. In the beginning of the play she displays more of an innocent attitude and demeanor about herself to the audience. She also becomes enchanted or duped by her father. I feel as though a feminist critic would be astonished by this. Question: How do you respond to Prospero’s control of his daughter? What is her character saying about “female nature”? (Since it represents a female totally untouched by socitey/civilization). 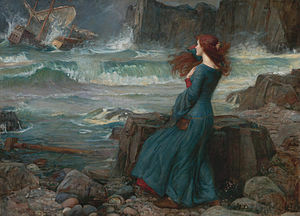 *Miranda to Prospero: “If by your art, my dearest father, you have put the wild waters in this roar, allay them. The sky, it seems, would pour down stinking pitch But that the sea, mounting to th’ welkin’s cheek, Dashes the fire out. O, I have suffered With those that I saw suffer! A brave vessel! (Who had no doubt some noble creature in her) Dashed all the pieces! O, the cry did knock Against my very heart! Poor souls, they perished! Had I been any god of power, I would have sunk the sea within the earth or ere It should the good ship so have swallowed and The fraughting souls within her” (Davis 498). *Miranda to Prospero: “O my heart bleeds To think o’ th’ teen I have turned you to, Which is from my remembrance! Please you, farther” (Davis 513). *Miranda to Prospero (about Ferdinand): “I might call him A thing divine; for nothing natural I ever saw so noble” (Davis 513). The above quotations help to decribe Mrianda and her innocence. To a feminist, Miranda might be considered weak. Her actions and use of character would be the topic of discussion because she appears to have no form of backbone until we see it unfold through her interactions with Caliban, her father, and Ferdinand. She tries to defend herself to her father at times, including issues relating to her sexuality and virginity. That may be the switch that flipped inside of Miranda. Toying with her morality and virtue in order for her to become more aggressive and less innocent feminine role. An example of this may be seen later in Act I where Miranda is conversing with Caliban (who once had lustful feelings towards Miranda). *Miranda to Caliban: “Abhorred slave, Which any print of goodness wilt not take, Being capable of all ill! 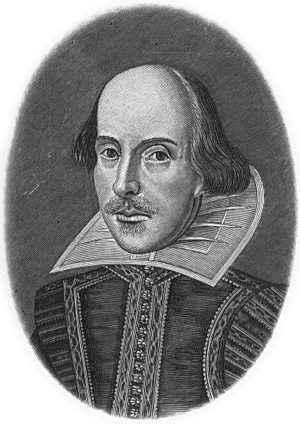 I pitied thee, Took pains to make thee speak, taught thee each hour One thing or other. When thou didst not, savage, Know thine own meaning, but wouldst gabble like With words that made them known. But thy vile race, Though thou didst learn, had that in’t which good natures Could not abide to be with. Therefore wast thou Deservedly confined to this rock, who hadst Deserved more than prison” (Davis 511). Question: Is her attitude towards Caliban a product of her upbringing by Prospero? Question: If you were/are a feminist, how would you characterize Miranda? Would you like her? Question: Do you like Miranda’s character and how she was depicted? Question: Do you find her to be a heroine in a way or not? Manzie, Kylie. “Miranda: Sassy Feminist or Charming Innocent?” Roanoke College. 14 Nov., 2011. Thanks for reading! If you leave any comments I will be sure to pass them along to Kylie. “O wonder! How many goodly creatures are there here! How beauteous mankind is! O brave new world, that has such people in’t!” ( William Shakespeare, The Tempest, 5.1). I am finally posting on the Tempest that I said I would post two weeks ago. Sorry for the wait! Today’s article post will focus around the character analysis of Miranda, the daughter of Prospero. Today’s quote is spoken by Miranda when she saw many men for the first time. Prior to this she knew only her father and Caliban, who is described as a monster. She meets Ferdinand before she says these lines and immediately falls in “love” with him. Ferdinand was the first “heavenly” male figure she saw. It is interesting to note that Miranda does not necessarily know what a “beautiful” male looks like since she has never seen a male, besides the people mentioned above, before. At one point, her father even says that Ferdinand is ugly for a man, but she says she does not care for she is humble and would not want a more handsome man. It makes me wonder what would happen when Miranda actually went back to Italy and saw more beautiful male figures. Q: Do you think Miranda loves Ferdinand? Q: Do you think she would stay “true” to him once she saw other males? “You have no idea how frightfully interesting it is to take a human being and change her into a quite different human being by creating a new speech for her. It’s filling up the deepest gulf that separates class from class and soul from soul” (Shaw, Pygmalion). I was so inspired by the musical I saw tonight that I decided to take a quote from the play Pygmalion. I am sorry I am not posting about the Tempest tonight, but I promise I will post about it eventually, hopefully. Tonight I saw My Fair Lady, which is based on the play Pygmalion, which is based on the Greek myth of Pygmalion. The tale of Pygmalion can be found in Ovid’s Metamorphoses. In this tale a sculpture made a statue of the perfect woman and fell in love with it. He went to the temple of Venus and prayed she would make his statue real. When he came home and kissed the statue he found its lips were warm and that his wish had been granted. His perfect statue had become a real woman. The play, Pygmalion, and the musical, My Fair Lady, are like this Greek myth. Professor Higgins, a professor of phonetics, bragged that he could turn Eliza Doolittle, a common flower girl, into a Duchess. She considered this offer and went to his residence to ask him for lessons. He accepted when him and his new friend, Colonel Pickering, made a bet over whether Higgins could get Eliza to speak properly in six months. This idea is like the Greek myth because Professor Higgins is, in a way, recreating Eliza. He is giving her new life and shapes the new lady she becomes in the end. The creator falls in love with his creation. However, in the play and musical, Eliza becomes defensive when Professor Higgins does not give the credit to Eliza. She put in the hard work, but Higgins attributed the success to himself. Thanks for reading! Please post your comments below! “We are what we believe we are” (C.S. Lewis, brainyquote.com). Today I thought I would post a quote that focused around our point of view. In my opinion, I do agree with Lewis that our opinion of ourselves shape who we are. If we have a positive image of ourselves I think another person’s opinion, especially a negative one, would have little to no effect on our demeanor. We are proud of who we are and therefore do not take mean comments to heart. However, if people had a negative opinion of themselves they are easily swayed by other people’s opinions. I am not saying people with a more positive image do not care how other people view them I am just saying, from observation, I have noticed that people with negative self images seem to internalize these negative comments. I agree with Lewis that what we believe is important, but even the proudest individual can be broken if people constantly berate them. Hopefully, this is not the case with any of you, but if it is, I want to let you know that you are a wonderful person and to not let anyone bring you down. I hope this makes your day better!